1) A healthy smile can ensure a lower risk of many common diseases. Recent studies have associated poor dental health with the increased risk of such dangerous diseases as Alzheimer’s, heart disease, Osteoporosis, low birth weight, premature birth and diabetes. Dr. Shen can help prevent or reduce the risk of many of these common problems by helping you get back a healthy and functional smile. 2) Dr. Shen is the unofficial dentist to Google. With many satisfied patients that work for Google, Dr. Shen has become a common name in and around the Google offices. As your friends that work at Google, odds are, many have used or heard of Dr. Shen. 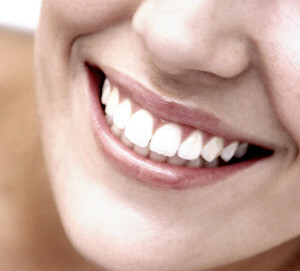 3) Fixing smile problems can increase your self-confidence. Making a great first impression can be as easy as a few quick appointments with Dr. Shen to repair your missing or damaged teeth and restore a beautiful smile. Smiling confidently again could be just a phone call away. 4) Dr. Shen specializes in an extensive array of cosmetic dental procedures. Offering the most up-to-date procedures and technology, Dr. Shen leads Northern California dentists in creating great smiles. Come to Smile By Design for veneers, tooth whitening, dental implants, bridges and many other amazing cosmetic procedures. Call today for more information. 5) Patients with oral health problems have higher rates of anxiety and depression. When you repair your smile you can almost instantly fix these issues and get back a worry-free, stunning smile. 6) Dr. Shen leads Northern California dentists in creating stunning, bright smiles. You may have been longing for the kind of stunning smile that you see everyday on television and in print ads. Don’t wait! Dr. Shen can help you make those dreams a reality today! 7) A functional and healthy smile can prevent many future dental health problems. Missing or damaged teeth can create poor dental health, cavities, gum disease and other oral health problems. A few short visits with Dr. Shen can fix these problems and get you back onto the road of dental wellness! 9) Smile By Design offers specials and great financing. With a wide array of financing and payment options, Smile By Design offers treatment for any budget and all your dental needs. 10) Patients are raving about Dr. Shen and the results she obtains for them. Don’t just take our word for it, please feel free to read through our patient testimonials and see what our fabulous patients are saying about us! A good dentist can be hard to find, but if you live in the Moutain View, CA area, Dr. Donian Shen would love to be your trusted dental care provider. With many satisfied patients, Mountain View residents know they can see Dr. Shen for beautiful results and a confident smile. Known for her technical expertise and exceptional patient care, Dr. Shen can also help give you the healthy and youthful smile you deserve. With an extensive array of product and treatment offering, Dr. Shen can help you with all your dental care and cosmetic dentistry needs. Call our office today to find out more about our services or to schedule a no-obligation consultation.